Description Welcome to Harvest Ranch! You have been chosen to help feed the animals with the aid of your trusty food launcher. 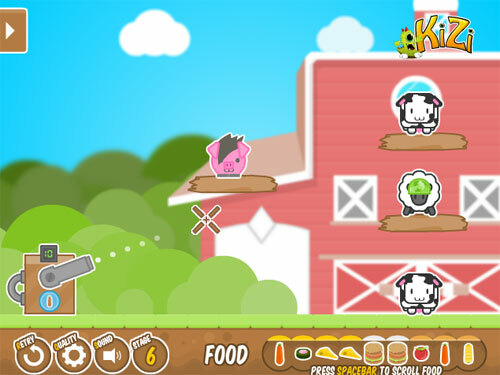 Feed all the animals to proceed to the next level...try to get all the achievements! Controls Spacebar: Scroll through your available foodstuffs. This is very fun and bright physics game! Nice music!